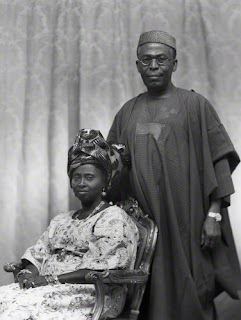 It has just been confirmed that the wife of one of Nigeria's foremost leader, Obafemi Awolowo has passed on at age 99. Chief (Mrs.) Hannah Idowu Dideolu Awolowo was to clock 100 years on the 15th November, 2015. May mama's soul rest in peace. The first ever Campus Editors' Summit (CES) is set to hold on October 31st 2015 under the aegis of the Guild of Editors, Association of Campus Journalists OAU. The Guild of Editors consists of all editors of news agencies on OAU campus. 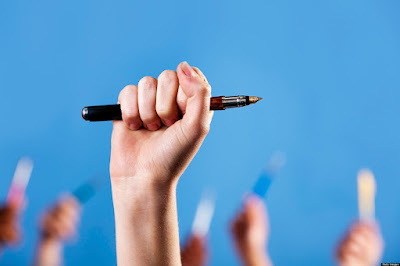 The summit is aimed at training and developing objective editors who will assert the strength of the pen without fear, favour or bias. For the month of October, two resource persons will he invited to mentor editors about the nitty gritty of writing. Editors from other institutions within Osun State will also participate in this first ever Editor's Summit. The summit promises to be educative and enlightening. Cc: All news agencies on OAU campus. Obafemi Awolowo University sudden rise to media prominence in an examination period is not unconnected to the mega budget meant for phone calls of the Students' Union leaders. Interestingly, as the Central Executive Council (CEC) led by the President and the Student Representative Council (SRC) led by the much embattled Speaker continue to deny the report, the Hall Executive Councils of the eight (8) halls of residence under the aegis of Hall's Committee have come out to confess and also blame the CEC for the 'skyrocketed budget'. RE: STUDENT UNION LEADERS BUDGET N1.8M FOR PHONE CALLS. The African Union Youth Volunteer Corps (AU-YVC) is a continental development program that recruits and works with youth volunteers, to work in all 54 countries across the African Union. Deciding to become an AU-YV is a life changing decision opening opportunities to serve in a community other than your own and assisting in the local development efforts. Africa needs countless skilled labor each year in all fields and professional sectors. Youth Volunteerism has contributed significantly to the development of most advanced economies and contributes a substantively to annual GDP. In Africa, Youth Volunteerism would not only contribute directly to the development of the continent, but is also a means of direct and meaningful youth participation and empowerment. The Public Relations Officer of Obafemi Awolowo University, Mr Olanrewaju Abiodun has frowned at the rumour making the rounds that the school management has concluded plans to increase bed space clearance fee as from next session. Mr Olanrewaju said the school management has no plans to increase the hostel fee. "Have you seen any circular stating that we want to increase the hostel fee, let people keep circulating rumours. As far as the management is concerned, we have not stated or discussed plans to increase accommodation fee, please ignore the rumours." Mr Olanrewaju said. The Entire OAU Peeps News Agency hereby uses this medium to wish every student a good success as we go into the examination periods. We pray for everybody good health and a retentive memory.